some of The boys and girls have been busy collecting money to send to Sr Regina Twomey in Peru. Sr Regina is a past pupil of Bunscoil na Toirbhirte and lives and works with the people in Peru. She provides education, housing and sanitation to some of those who need it and 100% of the money collected in the Easter Egg raffle will go straight to her to help the needy. 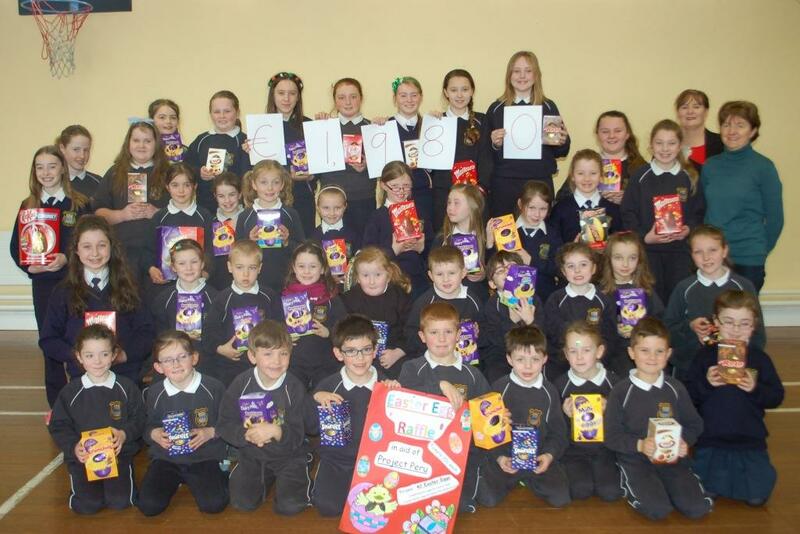 We are very pleased to announce that in total, €1980 was raised by the boys and girls for Project Peru 2016. 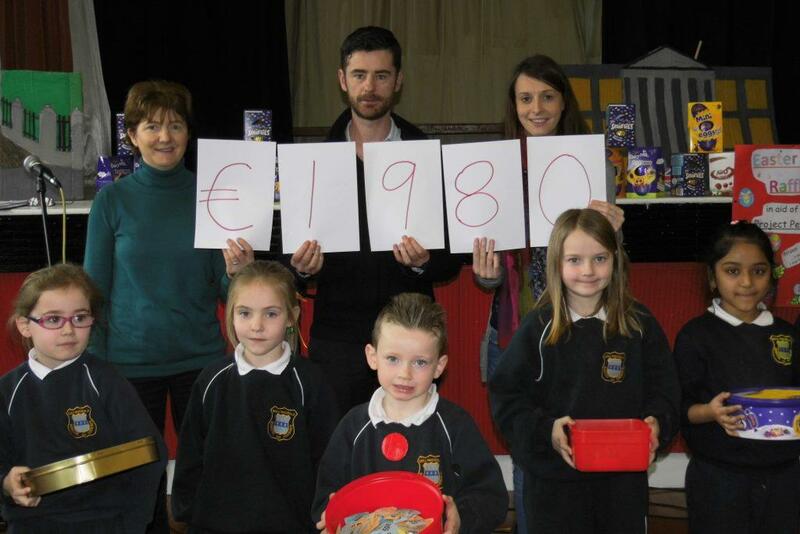 Thanks to Ms Coughlan for coordinating the ticket sales and to Bridie for counting all the money. Hopefully Sr Regina will be able to visit us on her next holiday home to Mitchelstown. Mrs Coughlan with teachers Ms Kearney and Mr Clancy who have both visited Sr Regina in Peru to see her work. Also in the picture are Chloe, Sorcha, James, Kate and Fariha with some of the boxes of tickets.